How has Taiwan been able to pay an astronomical defense budget to the US over the years? By depressing wages. Taiwan's buildup depended on keeping spending low by massive underpayment for military labor, and government employees pay was kept too low over the decades, with sallow malnourished faces. The foreign exchange reserve is rich because of three classes of people: the military, public servants, and teaching staff. Late AIT Director David Dean described this in his book “Unofficial Diplomacy: The American Institute in Taiwan”. Because of the American trade deficit crisis in 1986, the U.S. demanded Taiwan appreciate its currency by 20%. A 20 percent appreciation of the NT dollar would result in losses to Taiwan of 243 billion NT dollars, or about one -half of Taiwan’s budget for the year. If not for Yale graduate Dr. Fred Chien, Taiwan would break her economy. Dr. Chien emphasized to Washington that many of Taiwan's small and mid-sized enterprises would go bankrupt if the currency value was appreciated so drastically. Dr. Chien pointed out that in 1987; the U.S. Trade deficit with Taiwan was $19 billion. In 1988, it dropped to $13 billion, a decrease of 30 %. Any fair observer would agree this was an achievement. They pressured Taiwan even during President Chiang Ching-kuo’s funeral in 1988. If US did break Taiwan’s economy, then, Taiwan would not be able to purchase expensive defense weapons from the US. Also, this may have destabilized regional security. ROC chronically suppressed government workers wages, and the main beneficiaries of the economic boom are Taiwan local farmers who sold land in Taiwan for millions of dollars and purchased housing in top US neighborhoods. They are the rich DPP party. 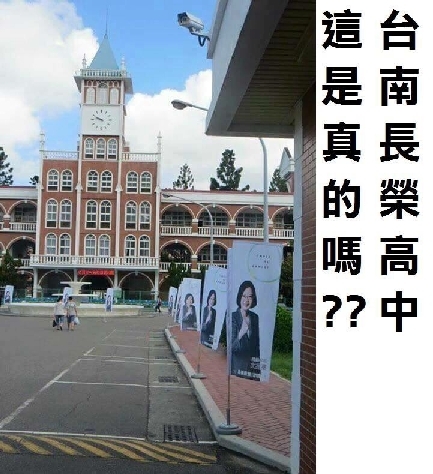 DPP Candidate Tsai told the US that the KMT should not have any offices on school campuses, but meanwhile she has her campaign posters at a Tainan high school, see photo. David Dean’s book also mentioned the charge that the KMT refused to let Taiwan locals to be in the government. This is not true. I provide three examples. 1: The Legislative Yuan in 1963 with local ethnic Hakka Mr. Huang Guoshu as Chairman. 2: Taiwan started TV broadcasts in 1964. Many important personnel such as famed popular singing star in Japan and Taiwan Judy Ongg's father, a Taiwan local, worked for Taiwan TV Company, a government joint venture with Japan. My senator grandfather promoted him and gave them big breaks. 3: China Broadcast Company broadcaster Lin Haiyin also is a Taiwan local. Now that treacherous Taiwanese brainwashed Americans and took control of all the sectors of the country, they are wearing out the system with low quality performance and are closing many businesses down. Lee sold off China Broadcasting Company and built a private hospital of which he was the Chairman of the Board. Lee robbed our voice and sold our company, so KMT are all muted and fail to defend our works and have become jobless. KMT state enterprises originated in the late Qing Dynasty, and they evolved in progress to further develop in Taiwan. Taiwan adopted postwar Germany’s economic model of the mixed economy, with the government helping small enterprises. These quasi-state enterprises hired retired military such as my father who worked as a unit operation manager to help local farmers by appropriating fertilizers. Once the local Taiwanese start to run these companies, their standard is low. 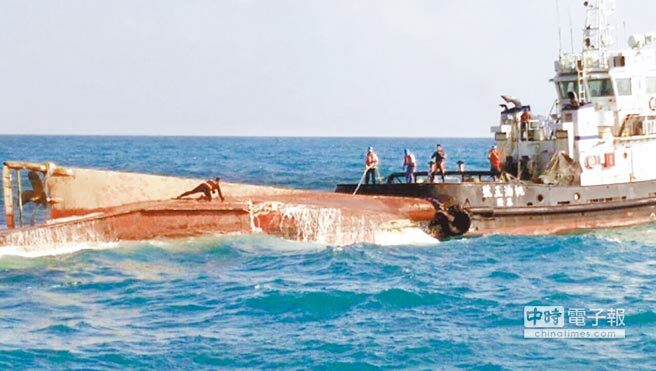 A recent quasi-government owned company’s sea transport 12,000 ton ship hit a small 48 ton ship. They have not upgraded the system, so without radar, using their vision only, they think that a tiny ship was a wave, and their training was amiss, they should turn right as international protocol, instead, they turned left. They were pressured to be in a hurry from Hualien port to Taichung port and were travelling too fast. All 9 on board are either dead or missing. The Nationalist hard earned system, but in Taiwan local hands, without upgrade, has simply degraded. 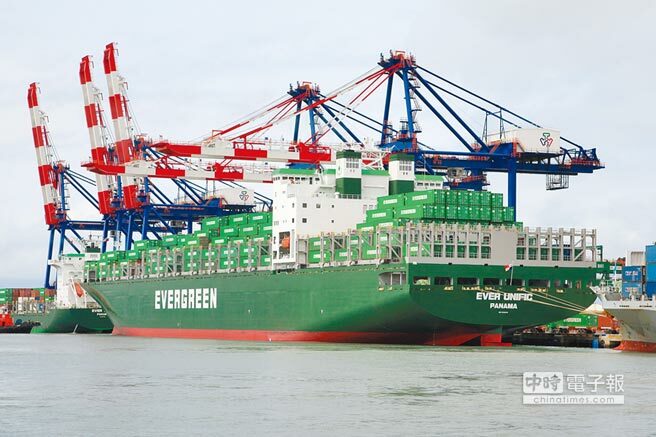 Instead the Taiwanese-owned Evergreen company with money pouring in by selling the KMT party building in developing a joint venture with Japan, and gave Japan business with 20 container ships to be delivered over the years, see photo. Once upon a time, Taiwan was energetic and its people worked hard to build up the country and defend it from Communists, though their pay was low. We were hopeful with prospect and looked to the US as a powerful ally. After I immigrated to US, those childhood places were buried in my deep conscious and stay in my soul. I dreamt of the howling northern wind, I was racing in Taichung Shuinan vacant military airport fields, trying to catch the flight. That dream echoed my childhood when my Father took me to Shuinan to add gas to his jeep. There was an American GI in saluting to him. My soul returned to help my Dad as he had heart trouble, and I carried him on my back in running to catch the plane. Then, in the middle of clouds, a couple of intellectuals also lined up. 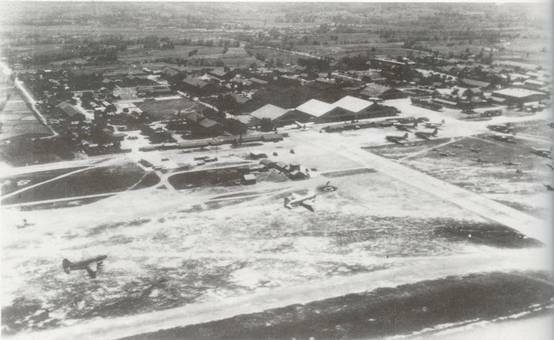 The door of an American transport plane slid open. A tall and gaunt man in embroidery grass green jacket let my Dad in. A chart indicating he went to north, and straight down south. I knew he finally back to his hometown in Henan, China. I pray for Taichung Shuinan military airport, the last virgin metropolitan land, currently under development in the hands of the DPP mayor. This land is always in my loving memory.